Born in Brooklyn and raised mainly in the Boston area, Mitch gravitated to the Club 47 during his high school years, when the club was still located on Mount Auburn Street and jazz was still its main focus. Joan Baez and Eric von Schmidt, sometimes joined by Rolf Cahn (Mitch’s guitar teacher), were just beginning to make an inroad for folk and traditional music. As the son of Manny Greenhill, who founded Folklore Productions in 1957, Mitch was exposed to a wealth of music played by musicians who stayed at the family house in Dorchester. These included Rev. Gary Davis, Lightnin’ Hopkins, Pete Seeger, Sonny Terry, among many others. When Mitch entered Harvard in 1961, Club 47 became an active center for his musical activities. He performed at the club in a number of formats, both solo and ensemble, and began appearing at venues around the country and abroad. Over the years, these have included the Newport Folk Festival, Cambridge (UK) Folk Festival, Winnipeg Folk Festival, Vancouver Folk Festival, and Merlefest, where he continues to perform each spring. 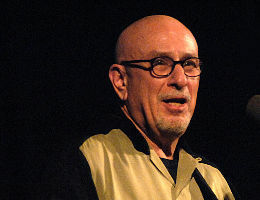 He recorded two albums for Prestige, which have been reissued on a Fantasy twofer titled Shepherd Of the City Blues; and two later collaborations with Mayne Smith, with whom he spent a number of years in the band Frontier. Their work as a duo has included tours of Britain and Italy, as well as festivals and concerts in North America. He has worked as a session musician for Rosalie Sorrels, Jack Elliott, and a number of film and television projects. Has produced about a dozen albums, including a Grammy-winner for Doc Watson.In 1976 Mitch joined the family business Folklore Productions, which he now runs as president, along with his son Matt. The company has represented the likes of Doc Watson, Taj Mahal, The Klezmatics, and Lúnasa, among many others. It publishes compositions by Joan Baez, John Fahey, Rev. Gary Davis, Jesse Fuller and others; these include songs recorded by the Rolling Stones, Bob Dylan and the Grateful Dead. In recent years, Mitch has expanded the business into theatrical sound design and composition. He composed music for the Broadway production An Almost Holy Picture, starring Kevin Bacon and directed by Michael Mayer. And has designed and/or composed for an array of theaters, including the Huntington, the Mark Taper Forum, Trinity Rep, Berkeley Rep, South Coast Rep, La Jolla Playhouse, Seattle Rep, and Pasadena Playhouse. Mitch is based in Santa Monica, California.